The executive is the branch of government that puts government laws and programs into effect. It is made up of the public service and government ministers. Every government department and agency and the Ministers responsible for every government department are all part of the executive. This includes a number of Ministers, government departments and agencies that are directly involved in the legal system. Government ministers are (as a matter of tradition) members of parliament from the party that is in power who are appointed to be responsible for a particular area of government operation. For example, the Attorney General is responsible for the legal system and the Minister for Defence is responsible for the army, navy and air force and for the Department of Defence. The public service is made up of all the people employed directly by the government in government departments and agencies. It is called the public service because of its role in serving the public. The public service is sometimes referred to as the ‘civil service’. The executive is a very important part of the law-making process. They have responsibility for delegated legislation. Also, they are often involved in the law-making process from the beginning, by identifying that a new law is needed, through to the point where the law is made by the parliament. presenting the Bill to the Cabinet for its approval to be presented to parliament. The Bill is usually presented to the parliament by the Minister responsible for that area of government. Government departments have staff to research and develop policies for improving particular aspects within the department’s responsibility. So, for example, the Attorney General’s Department may have staff looking at developments in the legal systems of other countries to see if they might be applicable to the Australian legal system. A lot of research on laws and legal systems is carried out for the executive by law reform commissions, at the request of the Attorney General. The executive can also rely on research by others, such as university academics, community organisations or industry bodies. Once research has been done, the executive is usually involved in writing the proposed law and sometimes asking the community for its comments and ideas about the law. Often changes are made to a proposed law during this process. Once the proposed law is ready, it is presented to Cabinet, which decides whether or not to take the proposed law to parliament in the form of a Bill. The executive has a lot of involvement in the legal system through its role in putting laws into effect. Some parts of the executive are more directly involved in the legal system. At both the Commonwealth and state levels of government, this department is under the control of an Attorney General and usually deals with the management and administration of the key functions of the legal system including the courts and tribunals, and laws. It also provides support to the Attorney General in relation to her or his role as legal advisor to the government. In NSW there are several agencies that have a role to play in the legal system. These are the Ministry for Police and Emergency Services, Corrective Services NSW and Juvenile Justice. The Attorney General has responsibility for courts and tribunals and is the primary legal adviser to the government. The Attorney General is sometimes referred to as the ‘First’ or ‘Chief Law Officer to the Crown’. There is an Attorney General for each of the state and territory governments, as well as a Federal Government Attorney General. Ministers are responsible for a range of other government departments and agencies including the courts (sometimes this is the Attorney General), the police, prisons, security and intelligence agencies. Different governments have different names for many of these roles. The Director of Public Prosecutions (DPP) is appointed for a fixed period by the Governor, to be responsible for the prosecution of people charged with breaking the law. The Office of the DPP reports to the Attorney General, but is an independent body. There is a Director of Public Prosecutions for the Commonwealth, who deals with prosecutions of federal law offences. There is also a Director of Public Prosecutions in each state and territory, who deals with prosecutions under their state or territory laws. For more information on prosecutions see page 19. In NSW, the DPP is responsible for prosecutions in relation to ‘indictable’ offences, and for conducting appeals in any of these cases. An indictable offence is an offence that entitles the accused to a jury trial. For more information about juries in the legal system, see page 18. 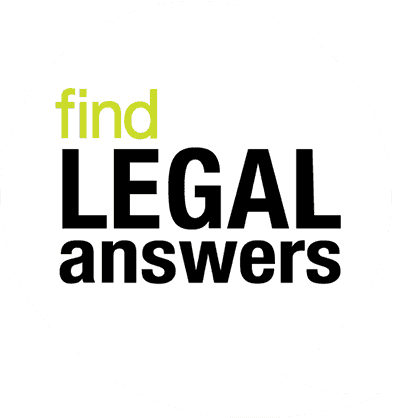 Legal Aid NSW is a government organisation that provides free legal advice and assistance. There are offices throughout NSW. Details of the locations are available on Legal Aid’s website and are listed in the telephone directory. Initial free advice (not means tested) is available for a range of areas of the law, limited to about 20 minutes. If you need more than legal advice, Legal Aid NSW may be able to provide a lawyer to help with your case. The lawyer may be employed by Legal Aid NSW or may be a lawyer in private practice, paid by Legal Aid to assist you. This is called being granted legal aid. To apply for a grant of legal aid, you need to fill in an application form. Forms are available from all Legal Aid offices and from duty lawyers at Local Courts. In many cases (not criminal) you can also apply through a private lawyer who does legal aid work. A private lawyer will usually charge you for any work not covered by the legal aid grant. Legal aid is not free. Most people will have to pay a contribution. The amount depends on the individual’s financial situation and the area of the law. Local Courts also have duty lawyers available for criminal matters. Duty lawyers are free and are available at Local Courts every day. There are legal aid commissions in each state and territory. A law reform commission is a body set up to do research on particular laws or legal processes and to recommend changes to those laws or processes to make them work more effectively. Once the Law Reform Commission has completed its research it makes recommendations to the Attorney General. There is a law reform commission or institute in every state and territory and there is also an Australian Law Reform Commission. The main roles of the police force are in crime prevention and crime investigation. The police also have a role in prosecuting people who break the law in relation to non-indictable (summary) offences. There are a number of other parts of the executive, however, that manage whole areas of law. For example, the Australian Taxation Office (ATO) is responsible for the administration of income tax law for the whole of Australia. The ATO not only collects income tax and other forms of Federal tax, but it also has a major role in providing guidance to the community on how income tax and other forms of taxes work. The ATO also sets up systems for individuals and organisations to report on their income and other information that is relevant to tax obligations. And, when a person or organisation fails to pay the tax they owe, the ATO has power to prosecute that person or individual in order to force them to pay what is owed. Australian Securities and Investments Commission (ASIC), which is responsible for the administration of the laws that regulate the actions of corporations. NSW Office of Environment and Heritage, which is responsible for the administration of the laws that regulate behaviour that could damage the environment. NSW WorkCover Authority, which is responsible for the workers’ compensation system in NSW and also for ensuring that employers and others comply with occupational health and safety laws. Australian Human Rights Commission, which is responsible for managing complaints under federal human rights and anti-discrimination laws. 10. In Australia, cabinet records are kept secret for 20 to 30 years, depending on when they were created, and cabinet notebooks (which record the views of particular cabinet ministers) are kept secret for 30 to 50 years, depending on when they were created. 11. Not all draft Bills are made available for comment as exposure drafts.